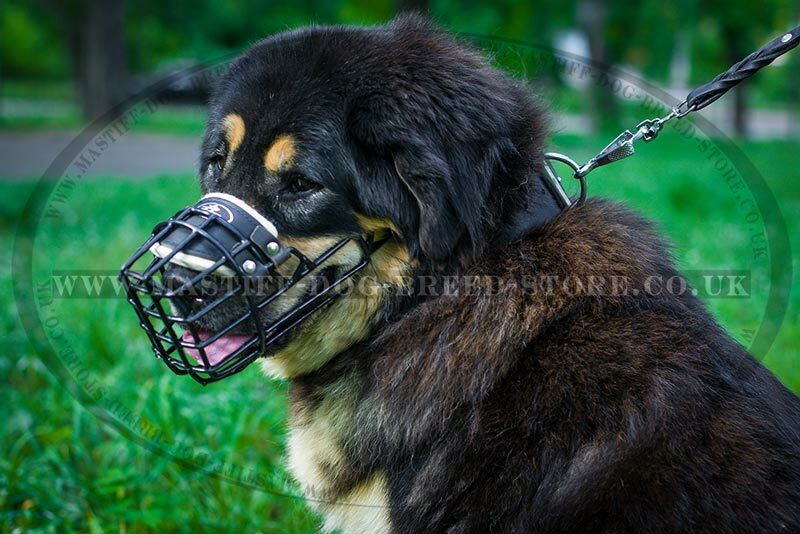 Get a wire dog muzzle with black rubber covering to preotect your dog from heat and frost. 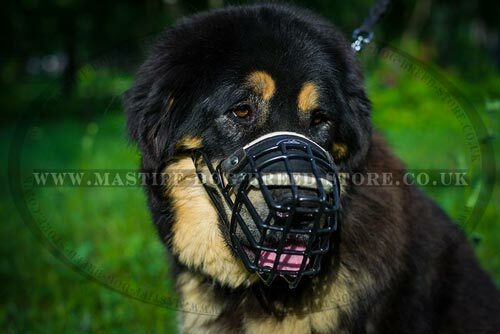 Basket dog muzzle with rubberized wire is a special model of wire dog muzzles. 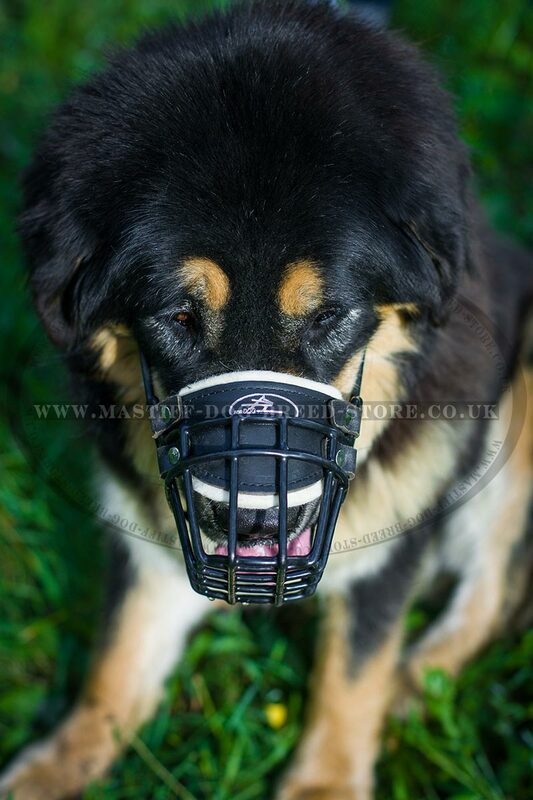 Rubber coating prevents sticking of dog skin, tongue and muzzle burning in frosty weather. It is a perfect muzzle for dog walking in winter. Rubberized basket muzzle for Tibetian Mastiff will be a perfect tool for dog safety in summer as well. It provides maximum comfort of dog snout. 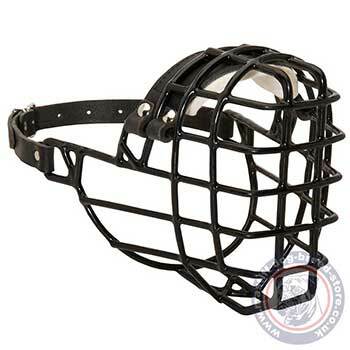 Soft upper nose lining prevents hurting and rubbing. 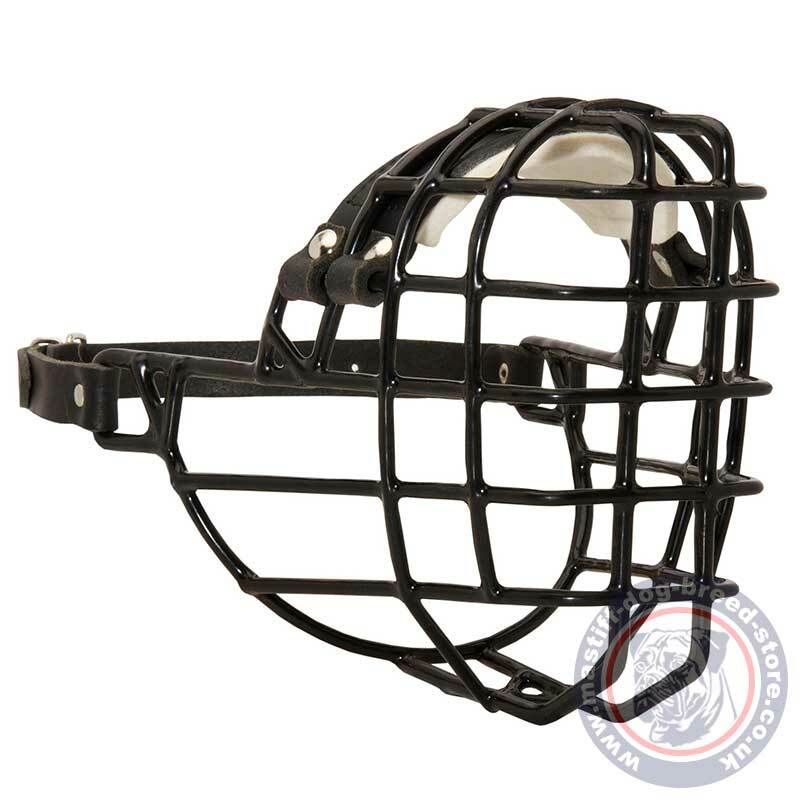 Wire cage dog muzzle provides perfect ventilation. A dog breathes and pants free. In addition, a dog is able to drink and take treats muzzled. It is very important for dog training. This basket dog muzzle design is produced according to the definite dog breed special snout shape and size. Fill in all the sizes of dog snout required and we will choose the most comfortable, the best dog muzzle size for your dog. 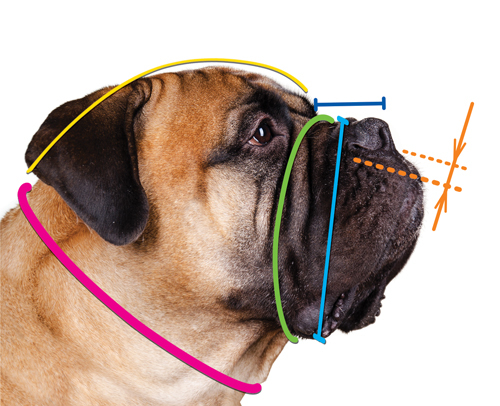 rich choice of sizes for various dog snout shapes and sizes. Please, fill in the sizes of dog snout while ordering.